I hate having to toss leftovers because the family is tired of eating the same thing for days in a row! If you can repurpose the ingredients, you can discover a whole new interesting meal or simply trick them into eating leftovers. This is the case with just a little bit of taco meat we had leftover from taco night. 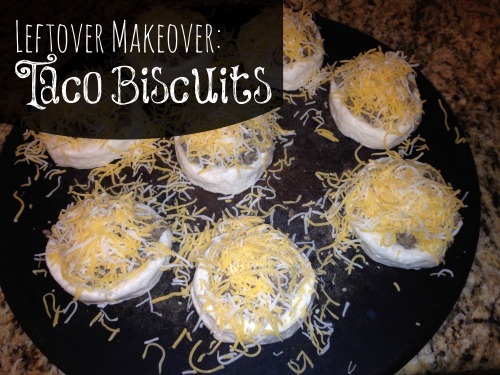 We had a can of biscuits in the refrigerator and I simple topped with taco meat and Mexican cheese to create Taco Biscuits! Simple and an easy way to utilize things in our refrigerator. What ways do you re-use taco meat? 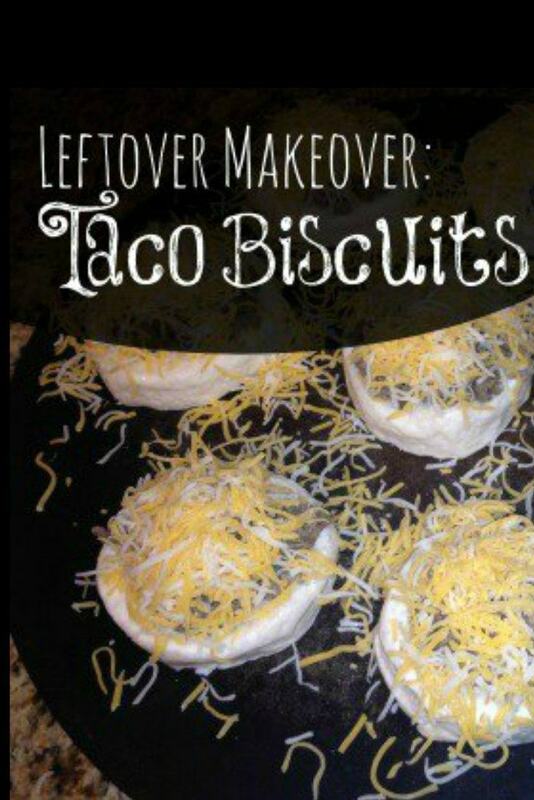 Top each biscuit with taco meat and cheese. Cook per directions on biscuit can.